I love my little car. Other people don’t, but I really don’t care! But with all that said, in September the USA will be graced with the third generation smart fortwo W453. A car that is better than my W451 in every way. And with my car beginning to deteriorate, I’m finding my want growing every day. Someone tell me this is a baaaaad idea. The new car will come with a glass roof (more on that later) or convertible, a manual transmission with a real third pedal, a turbo standard, 4 inches of wider track (better handling! ), provisions against crosswinds, and many tech things on top of the engine still being in the rear, driving the rear wheels. 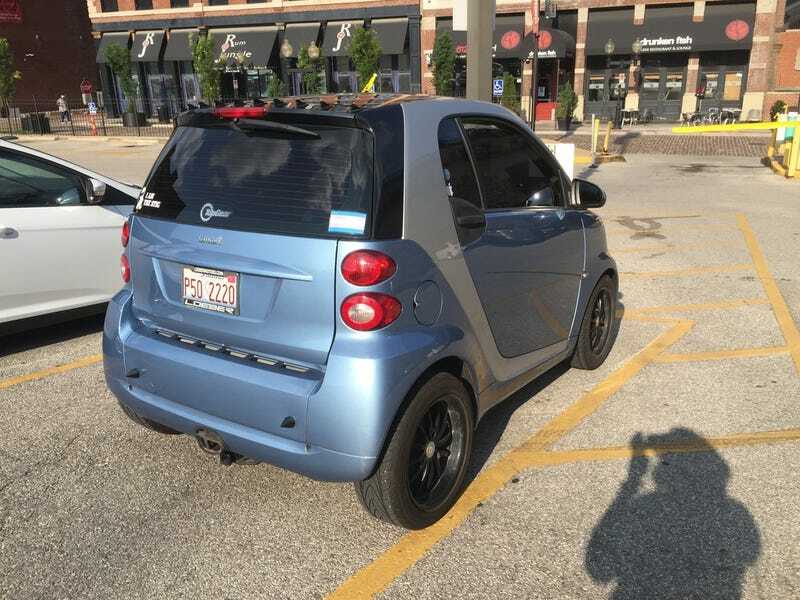 And, since it would be my second go around, I’d get the smart I always wanted! A convertible with an interior colour more vibrant than black and grey. I hate my smart’s interior...But...I CAN GET COOKIE MONSTER! No, I don’t give a darn about fuel economy. I drive my smarts for fun. That said, the new ones will be better there as well. I’m in incredibly good standing with Mercedes-Benz Financial Services. Knowing them, I’d be able to trade in my current smart, get an awesome interest rate, and score lower payments on top of that. So, it would cost practically nothing for me to get one. My little car has been incredibly reliable, never let me down. I could drive it sea to shining sea and it would be happy to do it. However, my little car is also always broken. When the temperatures drop below 20 degrees, the engine sputters and misfires. Mercedes-Benz refused to fix it during warranty. The cause of the issue is still unknown. My alignment has been off center since I bought the car. It was made worse by a Mercedes-Benz tech that tried to center my steering wheel by disconnecting it from the shaft and putting it back on. Even after a laser alignment, the wheel will always be off center. The transmission gives a very loud clunk when engaging Reverse. Sometimes I won’t get Reverse after the clunk happens, forcing me to choose another gear then try again. The fix for this can either be free, or really expensive. The 451 smarts can have polycarbonate roofs. Similar to what you’ll see on some Corvettes and even aircraft. And smart roofs are notorious for crazing (delaminating from the inside-out). but mine lasted 60,000 miles and 3 years before starting to craze. Usually they only go 6 months. There is no fix for this, it’s too darn expensive to replace. The novelty of having a see-through roof (it covers the whole car) is lost when you’re looking through cracks. I need to change the flat belt, it’s now squealing daily. This was something else Mercedes-Benz refused to replace when it started breaking during warranty. The car got shot on the 4th of July two years ago. I covered the bullet hole with an Apple sticker. Something also dug a deep gouge into two rear panels. I’ll have to replace these panels eventually. Thankfully smart panels aren’t too bad. A car wash dug grooves into a new set of wheels I bought two years ago. The car wash said “too bad, they’re aftermarket” despite the fact that I’ve seen cars with factory wheels come out of their wash with the same grooves. My exhaust needs a new flex pipe. Ironically, this is probably the cheapest of all the things I need to fix. So, that’s my thought process, tell me not to buy the new smart!! !